Available now! 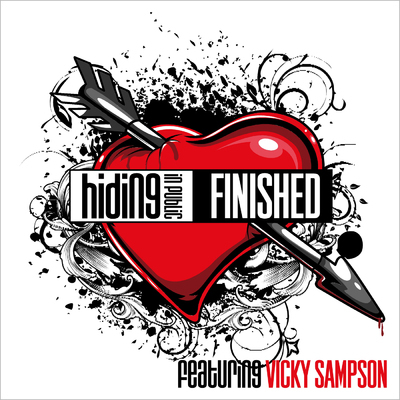 South African soul diva Vicky Sampson & Hiding in Public have released a retro soul remake of "Finished"! Hear it now on the HiP website. "Hiding in Public subscribes to the long lineage of British pop songcraft, starting of course with the Beatles but also the Small Faces and Squeeze," oozes Billboard and "displays the same unaffected yet sophisticated leaning of its predecessors." Hiding in Publlic features the soulful singing and tasteful guitar work of Jamie Moses. Jamie has been hiding in plain sight for years as one of the UK's top sidemen having toured with Queen + Paul Rodgers, Mike & the Mechanics, and most recently Tom Jones. When not standing on stage at events such as the Queen's Jubilee or Nelson Mandela's 46664 concerts, he is Hiding in Public with veteran collaborators David Holland, Kevin Poree and John Tonks.